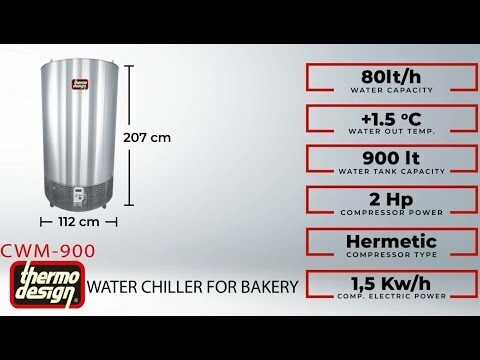 Sales of Cold Water Units for Bakeries is going on at full speed. The cold water units are specially designed for bakery products. They are being produced and sold in the world market under the brand name Termodizayn. Hygienic cold water units have become the favorite device of bakeries thanks to their space-saving design and low energy cost. Our cold water units are produced in 3 different models and are produced under the model name of CWM with 80, 100 and 150 liters / hour capacities. Larger capacity devices are also available on request. How to Select Cold Storage? What is Ice Maker ?